Humboldt Research Fellowship for Experienced Researchers, 2018. Faculty Research Award, Missouri University of Science and Technology, 2014. National Science Foundation, DMS-1418624, “Non-Iterative multi-physics domain decomposition method for the Navier-Stokes-Darcy model”, September 2014 - August 2017, Xiaoming He (PI) and Mingzhen Wei (Co-PI), total amount $95,500, shared credit 80%. Department of Energy, DE-FE0009843, “Robust ceramic coaxial cable down-hole sensors for long term in situ monitoring of geologic CO2 injection and storage”, October 2012 – June 2016, Runar Nygaard (PI), Hai Xiao (Co-PI), and Xiaoming He (Co-PI), total amount $1,447,193, sponsor amount $1,156,668, shared credit 30%. NASA-EPSCoR, “PIFE-PIC: A 3D Parallel Immersed-Finite-Element Particle-in-Cell Framework for Kinetic Modeling of Plasma-Material Interaction”, Daoru Han (PI) and Xiaoming He (Co-PI), October 2017 - May 2019, total amount: $24,119, sponsor amount: $10,000, shared credit 50%. Department of Transportation, “NUTC/reliability-based optimization design of geosynthetic reinforced road embankment”, May 2013 – December 2013, Ronaldo Luna (PI) and Xiaoming He (Co-PI), total amount $16,052, shared credit 50%. AMS-Simons Travel Grant, July 2012 – June 2014, Xiaoming He (PI), total amount $4,800. University of Missouri, Course Sharing Grant for “Finite element methods II”, May 2018 – May 2019, Xiaoming He (PI), total amount $9,731. Missouri Research Board Grant, “Coupling dual porosity flow with free flow: modeling, numerical method, and data assimilation”, Xiaoming He (PI), January 2017 - January 2018, total amount: $11,200. Missouri Interdisciplinary Intercampus Research Grant, “Development and application of a hybrid material point and immersed finite element method (MPM-IFE) to soil-water flow modeling considering hydrophobicity”, August 2015 - July 2016, Zhiqiang Chen (PI for UMKC), Xiaoming He (PI for Missouri S&T), total amount: $59,399, amount for Missouri S&T: $25,000. 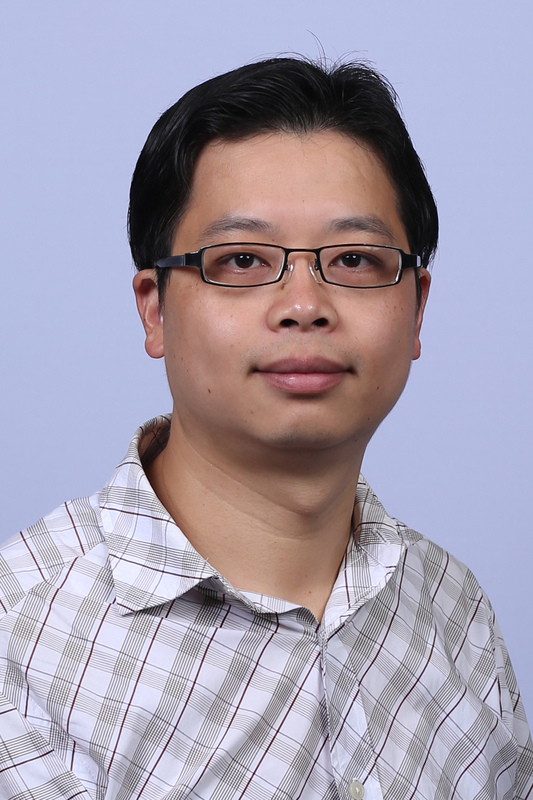 Missouri Research Board Grant, “Novel numerical methods for a moving interface problem”, Xiaoming He (PI), August 2014 – July 2015, total amount $10,000. University of Missouri, Course Sharing Grant and Educational Research Grant for “Mathematical foundation of finite element methods”, July 2014 – June 2015, Xiaoming He (PI), total amount $12,501. Missouri Research Board Grant, “Parallel numerical methods for realistic coupled Stokes-Darcy model”, Xiaoming He (PI), January 2011 – January 2012, total amount $13,000. Guest editor, the special issue of Applied Numerical Mathematics for the 20th IMACS World Congress. Jing Lu, Botao Zhou, Md. Motiur Rahman, and Xiaoming He. New solution to the pressure transient equation in a two-layer reservoir with crossflow, Journal of Computational and Applied Mathematics, DOI: 10.1016/j.cam.2018.05.065. Xiaofeng Yang, Guodong Zhang, and Xiaoming He. Convergence analysis of an unconditionally energy stable projection scheme for magneto-hydrodynamic equations, Applied Numerical Mathematics, 136: 235-256, 2019. Max Gunzburger, Xiaoming He, and Buyang Li. On Ritz projection and multi-step backward differentiation schemes in decoupling the Stokes-Darcy model, SIAM Journal on Numerical Analysis, 56(1): 397-427, 2018. Yali Gao, Xiaoming He, Liquan Mei, and Xiaofeng Yang. Decoupled, linear, and energy stable finite element method for the Cahn-Hilliard-Navier-Stokes-Darcy phase field model, SIAM Journal on Scientific Computing, 40(1): B110-B137, 2018. Xiaoming He, Weiwei Hu, and Yangwen Zhang. Observer based feedback boundary stabilization of the Navier-Stokes equation, Computer Methods in Applied Mechanics and Engineering, 339(1): 542-556, 2018. Daoru Han, Joseph Wang, and Xiaoming He. Immersed-finite-element particle-in-cell simulations of plasma charging at lunar terminator, Journal of Spacecraft and Rockets, 55(6): 1490-1497, 2018. Huijun Cao, Yong Cao, Yuchuan Chu, Xiaoming He, and Tao Lin. A Huygens immersed-finite-element particle-in-cell method for modeling plasma-surface interactions with moving interface, Communications in Nonlinear Science and Numerical Simulation, 59: 132-148, 2018. Jinwei Bai, Yong Cao, Xiaoming He, Hongyan Liu, and Xiaofeng Yang. Modeling and an immersed finite element method for an interface wave equation, Computers and Mathematics with Application, 76(7): 1625-1638, 2018. Rui Li, Jian Li, Xiaoming He, and Zhangxin Chen. A stabilized finite volume element method for a coupled Stokes-Darcy problem, Applied Numerical Mathematics, 133: 2-24, 2018. Qiumei Huang, Xiaofeng Yang and Xiaoming He. Numerical approximations for a smectic-A liquid crystal flow model: first-order, linear, decoupled and energy stable schemes, Discrete and Continuous Dynamical Systems - Series B, 23(6): 2177-2192, 2018. Xiaofeng Yang, Jia Zhao, and Xiaoming He. Linear, second order and unconditionally energy stable schemes for the viscous Cahn-Hilliard equation with hyperbolic relaxation using the invariant energy quadratization method, Journal of Computational and Applied Mathematics, 343(1):80-97, 2018. Feng Bai, Xiaoming He, Xiaofeng Yang, Ran Zhou, and Cheng Wang. Three dimensional phase-field investigation of droplet formation in microfluidic flow focusing devices with experimental validation, International Journal of Multiphase Flow, 93: 130-141, 2017. Yuchuan Chu, Daoru Han, Yong Cao, Xiaoming He, and Joseph Wang. An immersed-finite-element particle-in-cell simulation tool for plasma surface interaction, International Journal of Numerical Analysis and Modeling, 14(2): 175-200, 2017. Jiangyong Hou, Meilan Qiu, Xiaoming He, Chaohua Guo, Mingzhen Wei, and Baojun Bai. A dual-porosity-Stokes model and finite element method for coupling dual-porosity flow and free flow, SIAM Journal on Scientific Computing, 38(5): B710–B739, 2016. Daoru Han, Pu Wang, Xiaoming He, Tao Lin, and Joseph Wang. A 3D immersed finite element method with non-homogeneous interface flux jump for applications in particle-in-cell simulations of plasma-lunar surface interactions, Journal of Computational Physics, 321: 965-980, 2016. Daoru Han, Joseph Wang, and Xiaoming He. A non-Homogeneous immersed-finite-element particle-in-cell method for modeling dielectric surface charging in plasmas, IEEE Transactions on Plasma Science, 44(8):1326-1332, 2016. John A. Burns, Xiaoming He, and Weiwei Hu. Feedback stabilization of a thermal fluid system with mixed boundary control, Computers and Mathematics with Application, in honor of Max Gunzburger's 70th birthday, 71(11): 2170–2191, 2016. Xiaoming He, Jian Li, Yanping Lin, and Ju Ming. A domain decomposition method for the steady-state Navier-Stokes-Darcy model with Beavers-Joseph interface condition, SIAM Journal on Scientific Computing, 37(5): S264–S290, 2015. Yong Cao, Yuchuan Chu, Xiaoming He, and Tao Lin. An iterative immersed finite element method for an electric potential interface problem based on given surface electric quantity, Journal of Computational Physics, 281: 82-95, 2015. Honghua Jian, Yuchuan Chu, Huijun Cao, Yong Cao, Xiaoming He, and Guangqing Xia. Three-dimensional IFE-PIC numerical simulation of background pressure's effect on accelerator grid impingement current for ion optics, Vacuum, 116: 130-138, 2015. Chong Chen, Xiaoming He, and Jin Huang. Mechanical quadrature methods and their extrapolations for solving the first kind boundary integral equations of Stokes equation, Applied Numerical Mathematics, 96: 165-179, 2015. Chaolang Hu, Xiaoming He, and Tao Lü. Euler-Maclaurin expansions and approximations of hypersingular integrals, Discrete and Continuous Dynamical Systems, Series B, 20(5): 1355-1375, 2015. Yanzhao Cao, Max Gunzburger, Xiaoming He, and Xiaoming Wang. Parallel, non-iterative, multi-physics domain decomposition methods for time-dependent Stokes-Darcy systems, Mathematics of Computation, 83(288): 1617-1644, 2014. Xiaoming He, Tao Lin, and Yanping Lin. A selective immersed discontinuous Galerkin method for elliptic interface problems, Mathematical Methods in the Applied Sciences, 37(7): 983–1002, 2014. Wenqiang Feng, Xiaoming He, Yanping Lin, and Xu Zhang. Immersed finite element method for interface problems with algebraic multigrid solver, Communications in Computational Physics, 15(4): 1045-1067, 2014. Chaolang Hu, Jing Lu, and Xiaoming He. Numerical solutions of a hypersingular integral equation with application to productivity formulae of horizontal wells producing at constant wellbore pressure, International Journal of Numerical Analysis and Modeling, Series B, 5(3): 269-288, 2014. Yong Cao, Yuchuan Chu, Xiaoming He, and Mingzhen Wei. Decoupling the stationary Navier-Stokes-Darcy system with the Beavers-Joseph-Saffman interface condition, Abstract and Applied Analysis, vol. 2013, Article ID 136483, 10 pages, 2013. Xiaoming He, Tao Lin, Yanping Lin, and Xu Zhang. Immersed finite element methods for parabolic equations with moving interface, Numerical Methods for Partial Differential Equations, 29(2): 619-646, 2013. Chaolang Hu, Jing Lu, and Xiaoming He. Productivity formulae of an infinite-conductivity hydraulically fractured well producing at constant wellbore pressure based on numerical solutions of a weakly singular integral equation of the first kind, Mathematical Problems in Engineering, vol. 2012, Article ID 428596, 18 pages, 2012. Wenqiang Feng, Xiaoming He, Zhu Wang, and Xu Zhang. Non-iterative domain decomposition methods for a non-stationary Stokes-Darcy model with Beavers-Joseph interface condition, Applied Mathematics and Computation, 219(2): 453-463, 2012. Xiaoming He, Tao Lin, and Yanping Lin. The convergence of the bilinear and linear immersed finite element solutions to interface problems, Numerical Methods for Partial Differential Equations, 28(1): 312-330, 2012. Jin Huang, Guang Zeng, Xiaoming He, and Zicai Li. Splitting extrapolation algorithms for first kind boundary integral equations with singularities by mechanical quadrature methods, Advances in Computational Mathematics, 36(1): 79-97, 2012. Yanzhao Cao, Max Gunzburger, Xiaoming He, and Xiaoming Wang. Robin-Robin domain decomposition methods for the steady-state Stokes-Darcy system with the Beaver-Joseph interface condition, Numerische Mathematik, 117(4): 601-629, 2011. Yuchuan Chu, Yong Cao, Xiaoming He, and Min Luo. Asymptotic boundary conditions for two-dimensional electrostatic field problems with immersed finite elements, Computer Physics Communications, 182(11): 2331-2338, 2011. Huilei Han, Xiaoming He, Yaping Liu, and Tao Lü. Extrapolation for solving system of weakly singular nonlinear Volterra integral equations of the second kind, International Journal of Computer Mathematics, 88(16): 3507-3520, 2011. Xiaoming He, Tao Lin, and Yanping Lin. Immersed finite element methods for elliptic interface problems with non-homogeneous jump conditions, International Journal of Numerical Analysis and Modeling, 8(2): 284-301, 2011. Yong Cao, Xiaoming He, and Tao Lü. An algorithm using finite volume element method and its splitting extrapolation for second-order elliptic problems, Journal of Computational and Applied Mathematics, 235(13): 3734-3742, 2011. Xiaoming He, Tao Lin and Yanping Lin. Interior penalty discontinuous Galerkin methods with bilinear IFE for a second order elliptic equation with discontinuous coefficient, dedicated to David Russell’s 70th birthday, Journal of Systems Science and Complexity, 23(3): 467-483, 2010. Lu Pan, Xiaoming He, and Tao Lü. High accuracy combination methods for solving the systems of nonlinear Volterra integral and integro-differential equations with weakly singular kernels of the second kind, Mathematical Problems in Engineering, vol. 2010, Article ID 901587, 21 pages, 2010. Xiaoming He and Tao Lü. A finite element splitting extrapolation for second order hyperbolic equations, SIAM Journal on Scientific Computing, 31(6):4244-4265, 2009. Yong Cao, Xiaoming He, and Tao Lü. A splitting extrapolation for solving nonlinear elliptic equations with d-quadratic finite elements, Journal of Computational Physics, 228(1): 109-122, 2009. Xiaoming He, Tao Lin, and Yanping Lin. A bilinear immersed finite volume element method for the diffusion equation with discontinuous coefficient, dedicated to Richard E. Ewing on the occasion of his 60th birthday, Communications in Computational Physics, 6(1): 185-202, 2009. Joseph Wang, Xiaoming He, and Yong Cao. Modeling electrostatic levitation of dusts on lunar surface, IEEE Transactions on Plasma Science, 36(5): 2459-2466, 2008. Xiaoming He, Tao Lin, and Yanping Lin. Approximation capability of a bilinear immersed finite element space, Numerical Methods for Partial Differential Equations, 24(5):1265-1300, 2008. Xiaoming He and Tao Lü. Splitting extrapolation method for solving second-order parabolic equations with curved boundaries by using domain decomposition and d-quadratic isoparametric finite elements, International Journal of Computer Mathematics, 84(6): 767 -781, 2007. Craig Douglas, Xiukun Hu, Baojun Bai, Xiaoming He, Mingzhen Wei, Jiangyong Hou. A data assimilation enabled model for coupling dual porosity flow with free flow, DOI: 10.1109/DCABES.2018.00085, 17th International Symposium on Distributed Computing and Applications for Business Engineering and Science (DCABES), Wuxi, China, October 19-23, 2018. Daoru Han, Xiaoming He, Joseph Wang. PIFE-PIC: A 3-D parallel immersed finite element particle-in-cell framework for plasma simulations, #AIAA-2018-2196, 2018 AIAA Aerospace Sciences Meeting, Kissimmee, Florida, January 8-12, 2018. Chaohua Guo, Jiaqi Wang, Baojun Bai, Xiaoming He, and Mingzhen Wei. Multi-stage fractured horizontal well numerical simulation and its application in tight shale reservoirs, SPE-176714, Society of Petroleum Engineers, SPE Russian Petroleum Technology Conference, Moscow, Russia, October 26–28, 2015. Daniel Depew, Daoru Han, Joseph Wang, Xiaoming He, and Tao Lin. Immersed-Finite-Element Particle-In-Cell simulations of lunar surface charging, #199, 13th Spacecraft Charging Technology Conference, Pasadena, California, June 23-27, 2014. Chaohua Guo, Mingzhen Wei, Haowei Chen, Xiaoming He, and Baojun Bai. Improved numerical simulation for shale gas reservoirs, OTC-24913, Offshore Technology Conference Asia, Kuala Lumpur, Malaysia, March 25–28, 2014. Chaohua Guo, Baojun Bai, Mingzhen Wei, Xiaoming He, and Yushu Wu. Study on gas flow in nano pores of shale gas reservoirs, SPE-167179, Society of Petroleum Engineers, SPE Unconventional Resources Conference-Canada, Calgary, Canada, November 5-7, 2013. John A. Burns, Xiaoming He, and Weiwei Hu. Control of the Boussinesq equations with implications for sensor location in energy efficient building, American Control Conference, pp. 2232-2237, Montréal, Canada, June 27-29, 2012. Huilei Han, Yaping Liu, Tao Lü, and Xiaoming He. New Algorithm for the system of nonlinear weakly singular Volterra integral equations of the second kind and integro-differential equations, Seventh International Conference on Scientific Computing and Applications, pp. 1229-1235, Dalian, China, June 13-16, 2010. Joseph Wang, Xiaoming He, and Yong Cao. Modeling spacecraft charging and charged dust particle interactions on lunar surface, 10th Spacecraft Charging Technology Conference, Biarritz, France, June 18-21, 2007.